Oh, that mocking teacher! "Very nice!... MINUS FOUR"
Maybe he would have only taken off two points if I said it was a goldfish instead. Why do they always draw whales? He had time to draw the whale?! "Whale is swimming into range. barring 4,2 sir." "Load the torpedo's!" What is with people and whales these days? "Please enjoy the whale." Classic. 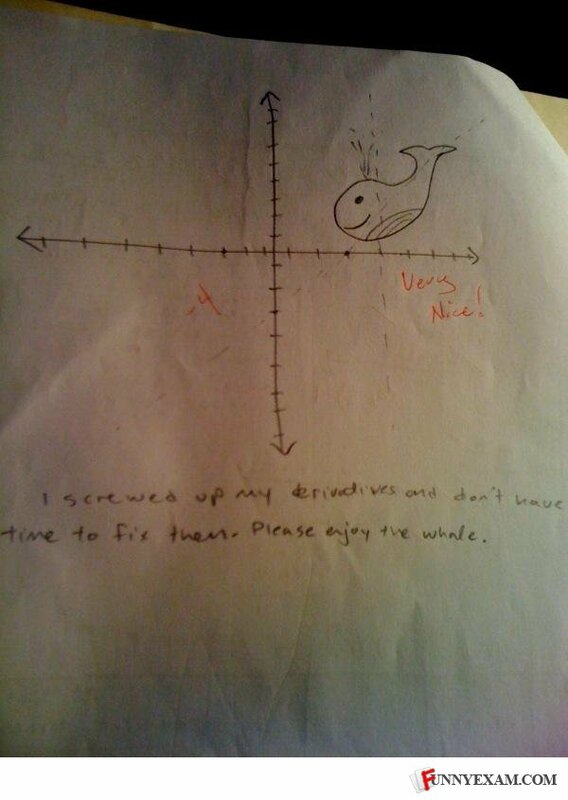 haha a whale it is very nice. I'm craving some bacon, wanna strip?